Hi, I'm Rick, Owner of Wolverhampton Locksmiths and your go to guy when it comes to getting your locks changed. I've been working as a locksmith in the West Midlands for ten years and specialise in lock changes for domestic and commercial customers in the area. 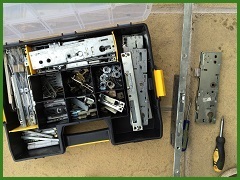 If it has a lock I can help, from your bog standard home lock changes to specialist and commercial locks, I can source and replace the majority of locks in use in the UK. If I've recently changed locks for you in the West Midlands, I'd like to hear your reviews! 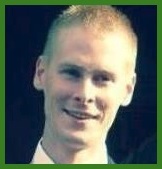 K.Lally, West Midlands: "After a family dispute I required locks changed as soon as possible. Rick came straight out and secured the property. The price was reasonable and I will definitely recommend." W.Chahal, Willenhall - Locks Changed: "Give the time of day, Rick arrived quickly to change our locks after a set of keys was taken from the car. We appreciate your quick response and honesty with security issues." 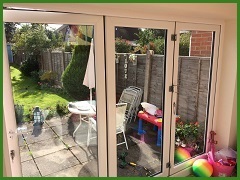 O.Poxon, Penn - New Locks: "We opted for the anti snap lock upgrade after a recently burgled neighbour recommended Rick. My wife now feels much safer when home alone." Whatever your reason for changing your locks to your home or business you can rest assured I've already seen it all. From domestic disputes to eviction proceedings, I've changed locks in all scenarios so never worry about calling me out to change your locks when you need it. I'm discrete and professional and have been working as a locksmith in the West Midlands for ten years, changing locks for all manner of customers including commercial shopfronts and on behalf of the local police. 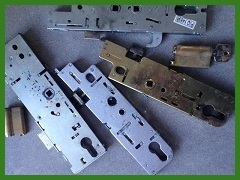 I carry a wide range of locks for domestic and commercial lock changes, anything more obscure or specialist can usually be sourced in a few days, if not the same day. This is a genuine local locksmith firm for lock changes in West Midlands, unlike a lot of those large national call centres and franchises that operate in the area, I am reliable, trustworthy and will charge a reasonable price for my lock changes. 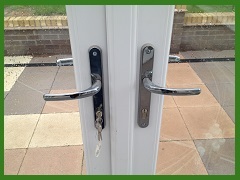 One of the most common lock changes I offer in the West Midlands is the upgrade to new anti-snap locks in uPVC door and all euro style lock cases. 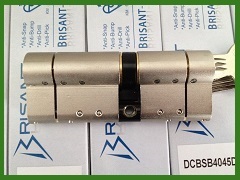 The older style of lock cylinder is vulnerable to destructive attacks which are now common knowledge amongst local burglars that generally target performance vehicles parked at home. Changing your locks to the new anti-snap lock cylinders will not only deter opportunist thieves but also resist forceful attacks on your doors locks, preventing an easy entry. If you'd like more information on changing your locks to the new anti snap lock cylinders then give me a call for a no obligation chat. Some locks are trickier than others to get a hold of. You can't just nip into your local B&Q to pick up commercial and specialist locks. 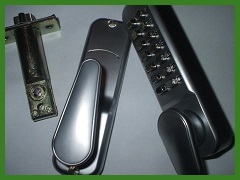 Over the years I've built up a large contact list of lock manufacturers, locksmiths and specialist collectors. This means if you're looking to change a non standard lock I can probably obtain one for you or at least point you in the direction of someone else that can help you with your lock change. A lot of new build properties use imported foreign brands that are hard to obtain once the site is completed and the contractors have left. If you're in this situation and cannot get hold of the required locks or door parts just give me a try and I will do my best to help you out. I can even source and change locks for antique safes, postboxes and doors from close contacts within the lock collectors community.